This ain’t rocket science, though those voluminous clouds of smoke can rival a NASA launch at times. 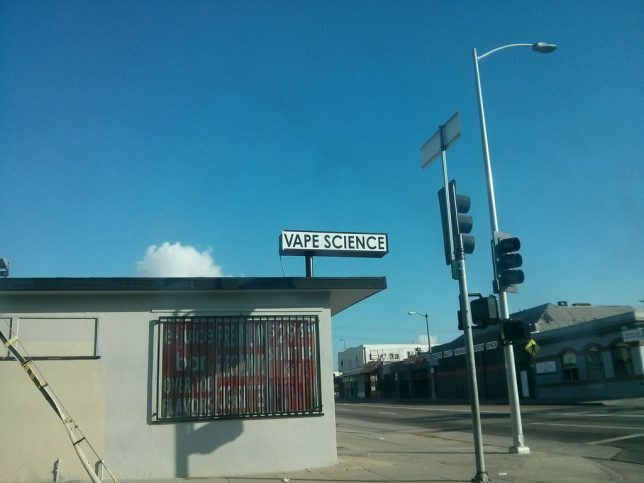 Flickr member Eliot Phillips (RobotSkirts) photographed the somewhat lonely-looking “Vape Science” vaping supplies shop while visiting Los Angeles’ San Pedro neighborhood for the 2014 STEAM Carnival. Somehow that seems perfectly appropriate. 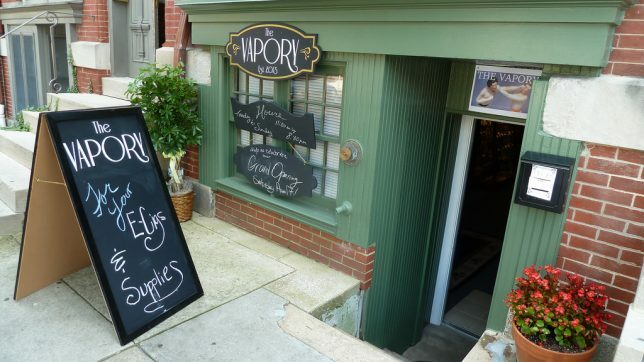 “The Vapory” was established in 2013 (it says so right on their sign) on West Preston Street in Baltimore’s Belvedere neighborhood. 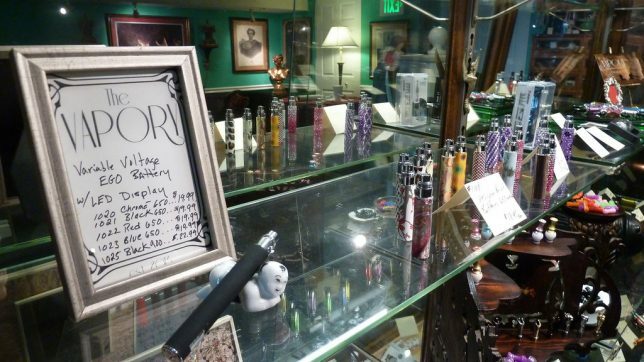 The Vapory appears to be taking the high road to vape shop success though an emphasis on style and selection, much like some notable upper-crust marijuana dispensaries. 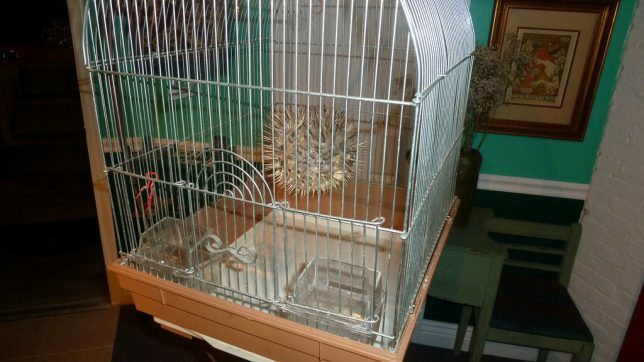 Note the store mascot, “Puffy”… a preserved puffer fish suspended in a bird cage. Flickr member A.Currell snapped an abundance of images of The Vapory, inside and out, during the days leading up to the store’s official opening in August of 2013. 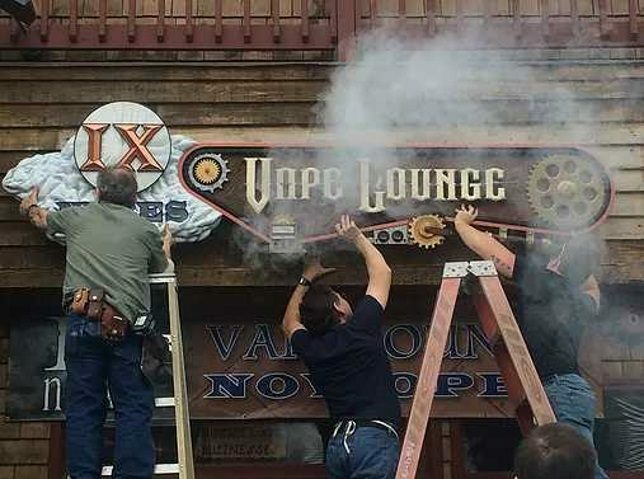 One of the more elaborate vape shop signs around belongs to “IX Nubes Vape Lounge” of Gatlinburg, Tennessee. Dig that funky retro steampunk vibe! 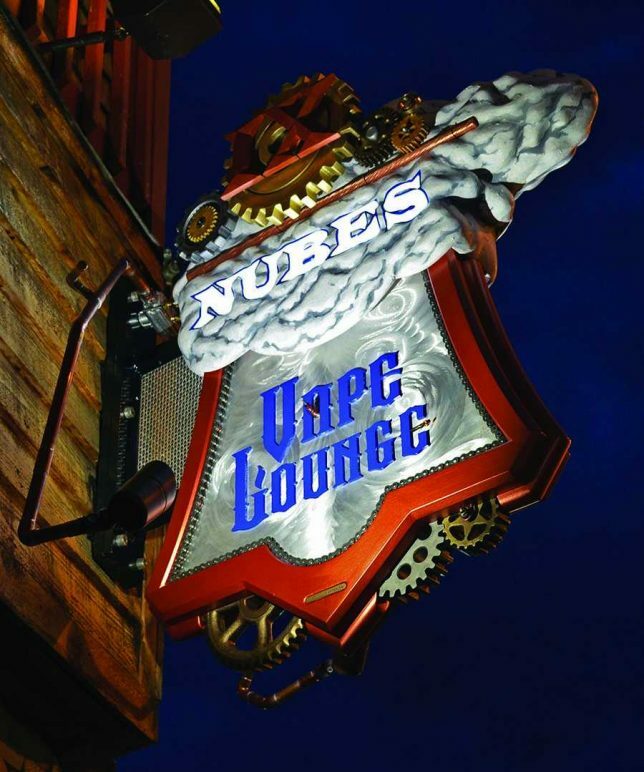 Is it ironic that the store hails from a town situated on the border of Great Smoky Mountains National Park that was devastated by raging wildfires in late November of 2016? Not really… unless, of course, the fires were sparked by a careless vaper. Kudos to Flickr member trekkie313 for capturing the shop’s distinctive main sign to best advantage on September 17th of 2016. 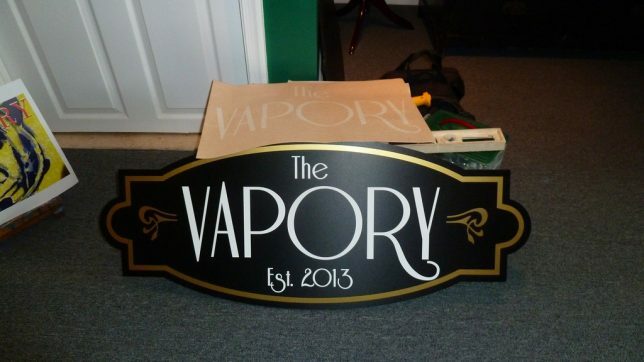 Double-kudos to Brother Zank and Vicki of Custom Craftsman Signs in Sevierville, Tennessee, who actually created the shop’s signs. 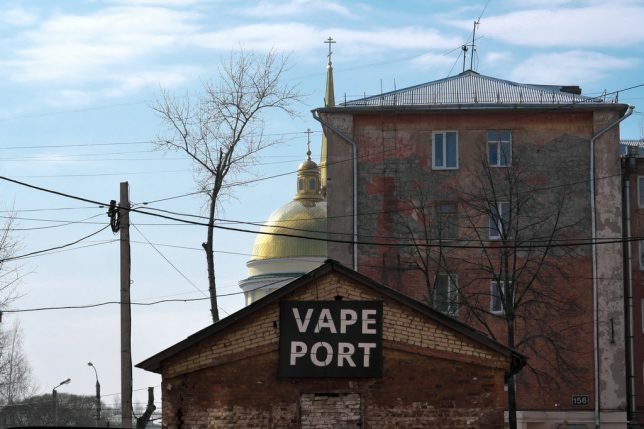 Vaping has become a global phenomenon in an astonishingly short time – even Russian backwater towns have vape shops… er, no offense, Izhevsk. 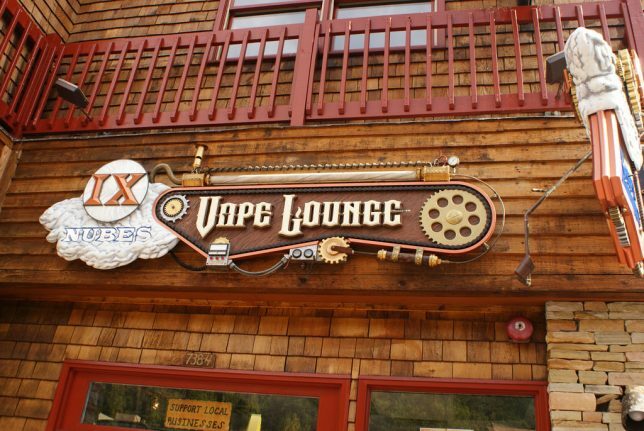 Flickr member Dmitri Bender (Reasonable Excuse) captured “Vape Port” (or at least, the upper floors of Vape Port) in April of 2017. That’s the 200-year-old Alexander Nevsky Cathedral photobombing Bender’s shot.